Pizza point-of-sale (POS) systems are software programs that help pizza shops manage orders, track sales, and ring up customers at the register. The best pizza POS systems also have tools for managing delivery and takeout orders, kitchen display systems, and online ordering integrations. We evaluated dozens of pizza POS systems to determine the best overall. POS systems help businesses collect payments quickly and accurately, maintain a customer database for sales tracking and marketing, track inventory levels for efficient product ordering, and provide sales reports and profitability analytics. Pizza shops specifically need POS systems that also incorporate takeout and delivery orders and a kitchen display system. Price: Pizza shops are high-volume, low-margin businesses, so it is crucial to have a cost-effective POS system with low monthly fees for software and payment processing. Ease of use: We looked at how easy each system is to use in a busy pizza shop environment. 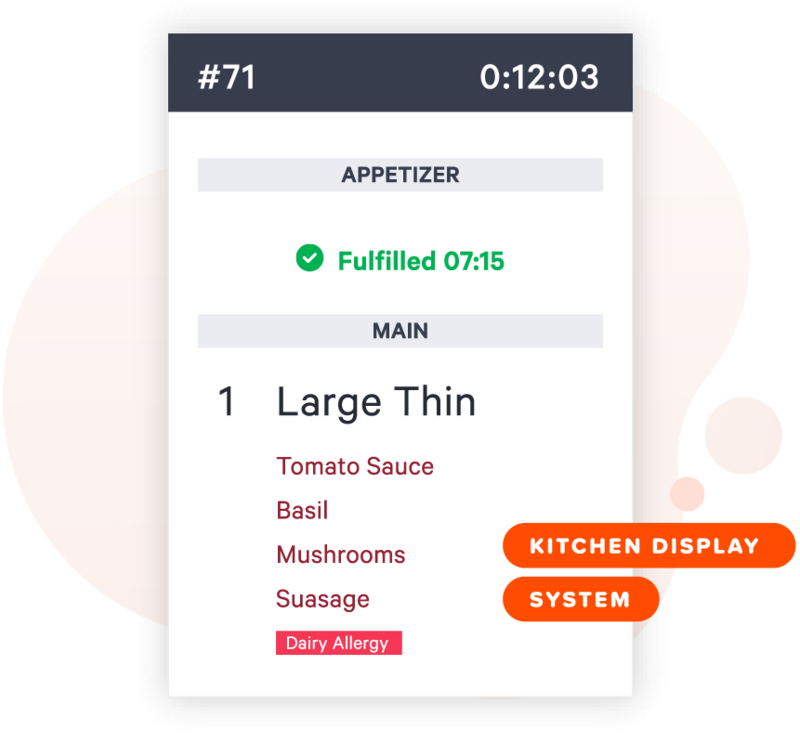 Online, takeout, and delivery orders: We looked at what features and integrations each system has to accommodate different kinds of orders, including kitchen display integrations. Ingredient tracking: We looked at what type of supply management or ingredient tracking each system has, including menu costing to maximize profits on menu items. Business management features: We looked at what extra features each POS has, such as employee management, customer relationship management (CRM), loyalty programs, and marketing. Sales reporting and analytics: We looked at what type of insights and information each system provides business owners in terms of sales and profitability. User reviews: We considered user reviews when choosing the best pizza POS systems. Based on the above criteria, Toast is our top choice for pizza POS. Toast is a restaurant-specific POS that includes tons of management features at an affordable price, and with stellar user reviews. Toast is an easy-to-use, touch-screen system and has built-in features like ingredient tracking and menu costing so pizzeria owners can run a profitable business. Toast is a tablet POS for the restaurant industry that has a dedicated solution for pizzerias. Whereas most restaurant POS systems focus either on back-of-house kitchen and ingredient management, or front-of-house guest management, Toast combines both with online ordering, delivery integrations, menu costing, and more at a price that is competitive with the other solutions on our list. Toast is not one of the free pizza POS options on our list, but at $79 per month, it’s a great value for the features it provides. Upfront costs start at $899 for hardware and $499 for installation, with 0% interest and 36-month financing available. Toast also has built-in payment processing (you can’t use a third-party processor) with a flat-rate fee that is negotiated when you sign up. Toast has POS systems dedicated to different types of restaurants, including pizzerias, that come with features designed for that type of business. Other software systems, such as Square for Restaurants and Lightspeed Restaurant, only have one solution for the entire industry. Toast’s pizzeria features include online ordering, menu engineering reports, and tons of customizable integrations that set it apart from the competition. Perhaps more so for pizzerias than any other kind of restaurant, having solutions to manage online, phone, delivery, and takeout orders in an organized and efficient way is crucial. Toast lets pizzerias build a custom online ordering page on their website that sends orders directly to the kitchen for maximum efficiency. Toast also has a caller ID that identifies customers when they call in for phone orders, and can track delivery drivers in real-time to ensure efficiency. Toast provides real-time inventory updates and advanced reports such as menu costing, inventory variance, and menu engineering so that pizzerias can monitor over-portioning, waste, theft, burnt food, and more. Menu costing is a valuable advanced feature that other POS pizza solutions like Square for Restaurants and Lavu don’t offer. Overall, Toast has some of the most advanced restaurant-specific inventory and ingredient management reports and features out of all the software programs on our list. Toast has a centralized customer directory that tracks all online and offline orders, and stores customer contact and transaction data. Pizzerias can also see which customers spend the most and visit the most frequently. Toast also has an optional loyalty program, though its loyalty program is slightly flawed in that it does not integrate with gift card options like TouchBistro does. Toast has detailed reports that let pizzerias understand how pizza sales are trending, including most popular days and times. Businesses can also identify the most profitable menu items, even individual toppings, to create the most profitable menus. Toast also helps calculate expected food and recipe costs for accurate ordering. With Toast, businesses can also see how labor costs are translating into real-time sales by identifying the most productive employees. Businesses can analyze average order time, average delivery time, and more. Toast integrates with popular reservation programs, such as OpenTable and bar management tools like BevSpot, if you are operating a full-service pizzeria restaurant. Toast also has an online ordering integration that adds a restaurant’s menu to its website and allows for real-time menu updating from anywhere. The online menu can be synced with the in-store menu or kept separate. Toast partners with a few popular delivery solutions, including GrubHub, Chowly, and more. Toast has a lot of great reporting and management tools that make it a top-of-the-line pizza POS. The biggest drawbacks of Toast are the price, including a roughly $500 installation fee that no other solutions on our list have. As we mentioned earlier, Toast also has some gift card compatibility issues and does not currently sync or integrate with popular accounting tools like QuickBooks. Toast has excellent customer reviews. Businesses like that Toast is very easy to use, and that the software is constantly updating and improving. Some reviewers wish that the loyalty program was more flexible, and a few others mention hardware glitches. But, overall, Toast receives mostly high ratings from business owners. Visit our Toast review page for more details. Toast offers a free demo that will walk you through all of the pizzeria-specific features. Toast provides a custom quote for each restaurant for software, hardware, and payment processing, which helps ensure that restaurant owners are only paying for the features they intend to use. Visit Toast’s website to get started. 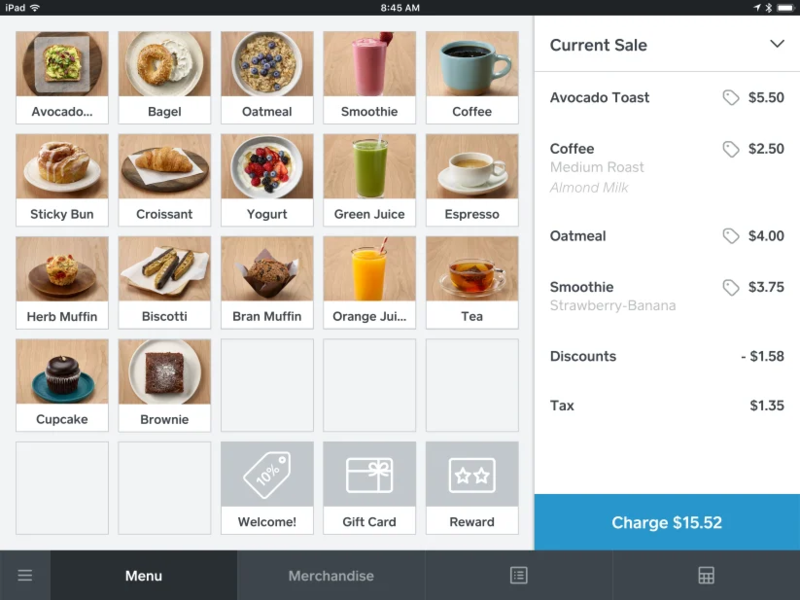 Square is a free, cloud-based POS app with built-in payment processing. Square is very streamlined with an intuitive interface that is easy to use in fast-paced restaurant environments. Square’s low monthly and startup costs, paired with its user-friendly touch screen and integrated payments system, make Square a great option for new and small pizzeria businesses. Square POS has no monthly fee, comes with a free credit card reader, and the app can be downloaded on any iOS or Android smartphone or tablet, so Square’s upfront costs can be as minimal as you need. Businesses can also purchase full register hardware kits from Square, as well as accessories like cash registers and receipt printers. Square also has lots of software upgrades and integrations that can be added and removed as needed for a monthly fee. 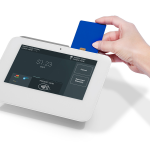 Square and Lavu are the only two POS systems on our list that don’t have a monthly fee. 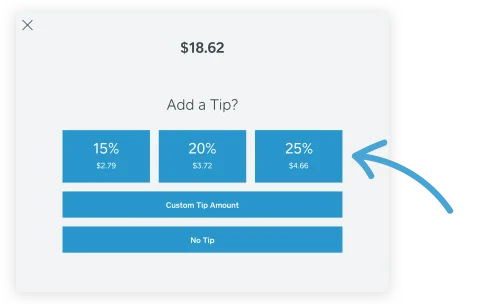 Square’s payment processing rates are a flat 2.75% per transaction, which is very competitive and ideal for businesses with low average sales (perfect if you sell pizza by the slice). 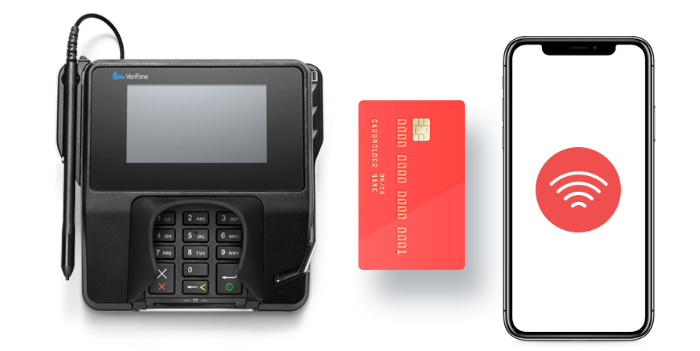 Lower processing rates are available if you upgrade to Square Restaurants POS ($60 per month) or purchase a Square Register or Square Terminal hardware kit. Despite Square’s low price tag and no monthly fee, it is packed with features that pizzeria owners and staff alike will appreciate. Square’s secure payment system is built right into the POS software, so there’s no complicated merchant provider setup and card reader integration needed. Add to that a complete suite of tools that help you track inventory items, create and categorize menu items, manage staff time, and market to customers, and Square delivers the basic features most pizzerias need in a POS. Square is ideal for pizzerias that take most of their orders in-store or over the phone. You can accept online orders by creating a free online store with Square, but it’s not specifically designed for restaurants, so the features are limited. If you already have a website through WordPress, you can offer online ordering by installing a WooCommerce plug-in and connecting to Square. Square does have a food delivery service called Caviar, which you can partner with, but it’s not available in all locations across the U.S.
Square doesn’t have advanced inventory management features or menu costing. This free software does have reports that show how much of each item was sold, but there is no connectivity between what products are sold and inventory stock levels like Toast, Lavu, and TouchBistro offer. Square automatically creates customer profiles based on payment cards. Businesses can add additional information such as phone numbers and birthdays, view order histories, store credit cards on file for frequent customers, and identify and reward repeat customers. 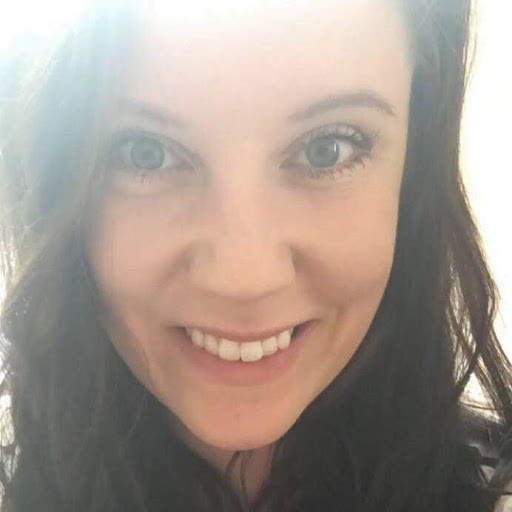 While this feature is not as robust as the loyalty feature found with products like Toast, the automated features are convenient and easy to navigate. The biggest drawback of Square is that it does not have sophisticated online ordering or delivery management, or inventory tracking that is specific to the restaurant industry. Square has front-end features that are sleek and effortless, but the back-end management tools are not as robust as Toast, Lightspeed, or TouchBistro. Square does offer an upgraded $60 per month POS called Square Restaurant, but this is designed more for full-service, sit-down restaurants and does not solve any of the ordering or inventory management gaps. Square has great reviews because of its user-friendly front-end features. Users also love how easy it is to set up Square with little to no upfront cost. Some reviewers wish that Square had more customization options. The basic Square POS also is not specific to the restaurant industry, though there is a Square Restaurant POS available for $60 per month. Visit our Square review page for details. Square is very cost-effective and user-friendly. To get started, create a free account on Square’s website. Visit Square to sign up for free. 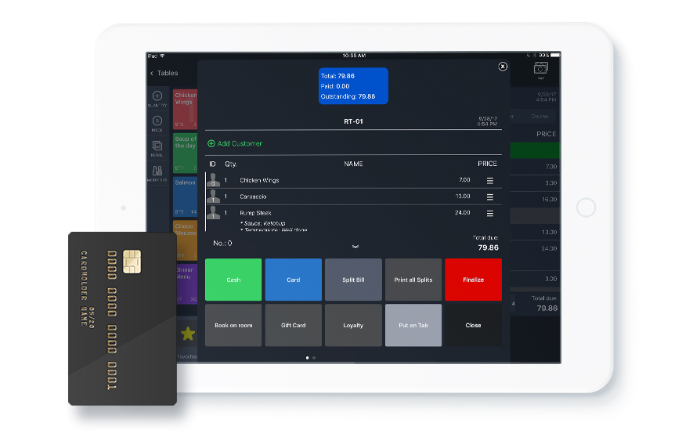 Lavu is a cloud-based iPad POS specifically designed for restaurants. Lavu has unique ToGo, Delivery, and Routing features for managing multiple types of orders from start to finish. The ability to coordinate online orders, pickup orders, and delivery within the same POS platform makes Lavu our top choice for pizzerias offering online ordering and delivery. Lavu starts at $69 per month per terminal, which is a moderate price compared to similar POS systems on the market. Lavu offers hardware packages and has options for built-in payment processing. $69 per month per register: Lavu monthly fees are the same as Lightspeed and TouchBistro. Hardware kits start at $399: This includes an iPad stand and magstripe card reader. IPads are an additional $399 each. Optional payment processing: Lavu has its own payment processing system that businesses can use if they want an all-in-one system. But, unlike Square and Toast, pizzerias can also integrate other payment processing solutions if they want to find a lower rate. Lavu has standard restaurant POS features such as table layout and customization, inventory management, payment processing, and the ability to split checks. More advanced options, such as online ordering and digital menu boards, are available as add-ons. These add-ons make Lavu a more flexible option compared to other programs because restaurants can pick and choose which features they want while still having everything run under one program. Lavu has an online ordering system that allows your pizzeria to join the online ordering space for a low cost with little maintenance. Restaurant staff doesn’t have to spend time entering customer orders, and customers can set up a profile that makes reordering simple and increases return business. Lavu also has GPS-based delivery features that will give drivers step-by-step instructions, all managed through the POS. Lavu can connect inventory items with menu items to keep track of ingredients as they are used, similar to Toast and TouchBistro. 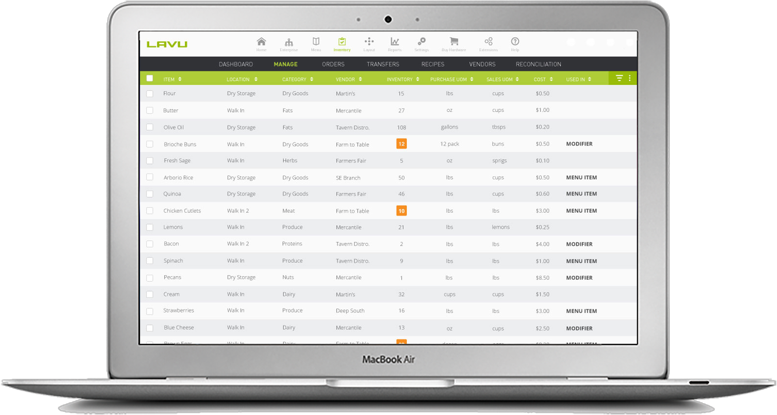 Lavu has real-time, ingredient-level inventory tracking. Pizzerias can also manually add inventory or automatically receive stock via purchase orders. Lavu gives customers the ability to build their own profile for online ordering so they can view their history and easily reorder favorites. While Lavu’s online customer management tools are great, the tools for managing customer relationships in the restaurant are not as robust. Most advanced CRM features are available through integrations and third-party add-ons. Lavu offers reports and analytics that are easy to digest. Lavu combines data from online and in-house orders to compile comprehensive sales reports. Lavu offers reports on the following data: best-selling menu items, transactions, register sales, voided payments, sales by employee, discounts, promotions, sales by time of day, payment types, and more. Lavu has many of their own integration solutions, including accounting, payments, loyalty, gift cards, customer management, delivery, online ordering, digital menu boards, kitchen display systems, and more. However, Lavu also partners with third-party providers such as Square and Chowly. Plus, Lavu has an open API, so business owners can create their own integrations. Lavu is a pretty comprehensive system. There isn’t much that Lavu doesn’t offer. The biggest downside is that many of these features come at an additional cost. Lavu’s reporting capabilities are also not as robust as Lightspeed’s or Toast’s. Lavu has decent reviews. Users like that it is easy to use and includes a bunch of different features for managing different kinds of orders. However, some reviews report bugs or glitches with the software. Visit our Lavu review page for more details. Lavu is a great option for pizzerias that want to offer online delivery. Getting started with Lavu is easy. They have a section on their website that outlines all of the features and benefits of using Lavu specifically for pizzerias. Visit their website to request a free quote and to start a free 14-day trial. Loyverse is a free Android and iOS POS app targeted towards restaurants, pizzerias, and cafes. Loyverse has features not normally found with free POS systems, like ingredient-level inventory tracking, a kitchen display app, and a customer-facing display solution. Loyverse also has a free built-in loyalty program, making Loyverse a great option for pizzerias. Loyverse is completely free to use, including the basic loyalty program and kitchen display system. All that is needed to run Loyverse are Android or Apple tablets and whatever extra hardware, like cash registers or receipt printers, you would like. Comparable restaurant management software programs would cost around $100 per month, making Loyverse an absolute steal. Loyverse doesn’t offer built-in payment processing, but they integrate with a few different payment solutions, including SumUp, WorldPay, and a few others. In addition to the ingredient-level tracking, kitchen display system (KDS) app, and customer-facing app, Loyverse comes with features like customer messaging, reporting and analytics, and employee management. Loyverse also has a free loyalty program. Overall, Loyverse has a lot of handy features, especially for a free system. Though Loyverse has a lot of great features, takeout and delivery management is one area where Loyverse is lacking. Loyverse has the option for businesses to label orders as dine-in, takeout, delivery, and so forth, but there are no other management features available such as online ordering or delivery tracking. Currently, Loyverse does not have any integrations other than payment processing, so it’s not possible to connect another online ordering or delivery solution to Loyverse POS. Loyverse’s inventory management is especially sophisticated for a free system. Pizzerias can add menu items and detail which ingredients are used in creating them, and manage stock to a detailed level. Pizzerias can also import purchase orders, transfer stock between multiple locations, and see which items are performing best or moving slowly. Loyverse also offers an Advanced Inventory Management add-on for $25 per month, which offers inventory valuation and allows businesses to send purchase orders directly to suppliers. The name Loyverse is actually a combination of “loyalty” and “universe,” which highlights the program’s built-in points-based loyalty program. Loyverse has a detailed CRM package that records customer data, buying behavior, and preferences. Loyverse also makes it easy to send marketing messages and promotions to customers via email. Most systems, including Square, charge a monthly fee for loyalty program features, but Loyverse offers this for free. Loyverse has a pretty helpful selection of reports available for pizzerias, including sales reports, inventory reports, and tax reports. All reports are downloadable via CSV files. If you upgrade to the Advanced Inventory Management ($25 per month), you also can view production and inventory valuation reports. The only downside is that Loyverse does not have a customizable drag-and-drop reporting dashboard like Square and Lightspeed do. Lack of integrations is the biggest downside of Loyverse. Aside from a select few payment processing companies, Loyverse does not support integrations with any other tools or software programs. Loyverse is a great free POS suite with tons of features, but if there’s a tool you’re looking for that is not available directly through Loyverse (such as online ordering or delivery), there is no way to connect it with Loyverse POS. Lack of integration is Loyverse’s biggest hole. The POS provides great inventory management, a loyalty program, POS, and kitchen display features, but there is no way to integrate delivery, online ordering, or accounting tools. If you’re looking for a more flexible or customized solution, Square or Lightspeed are good alternatives. Loyverse also does not have built-in payment processing, although it partners with SumUp and WorldPay. Overall, reviews for Loyverse are positive. Businesses like the loyalty program, customer-facing display, and analytics that are not typically found on a free POS app. However, some reviewers say the program is not very user-friendly, and wish there were a desktop version of the POS. Visit our Loyverse review page for more details. Loyverse is completely free, making it a great option for pizzerias that want a loyalty program. To get started, visit the Loyverse website to create your free account. Visit Loyverse to sign up. Lightspeed Restaurant is a cloud-based iPad point-of-sale system (POS) for the food service industry. It offers comprehensive front- and back-end management features designed for multiple locations. Inventory and peak hour planning, employee management, and reporting can be managed from one dashboard for all locations, which is why Lightspeed is our top pizzeria POS choice for multi-location restaurants. Lightspeed Restaurant POS is pricier than the other software programs on our list, starting at $69 per month for one register. Custom quotes are available for restaurants with multiple locations. Lightspeed runs on iPads with iOS 9.3 and later, which can be purchased for under $400. Lightspeed has a built-in payment solution, called Lightspeed Payments, that offers a flat 2.6% plus 10 cents per transaction rate, which is very competitive. However, pizzerias can also choose an outside payment processor. Lightspeed Restaurant has industry-standard features, such as ingredient-level supply tracking, table management, menu management, and a kitchen display system. What sets this software system apart is the ability to manage multiple restaurants under a single platform. Pizzeria owners can manage and transfer inventory between locations, have centralized customer and gift card databases, and plan for peak hours across locations. Lightspeed Restaurant is really designed more for dine-in restaurants, so there are not many features for delivery. If online ordering or delivery is your primary customer base, Lightspeed is not the best fit for you. Lavu or Toast would be a better option. Inventory management is one area where Lightspeed really stands out, especially when it comes to managing multiple locations. 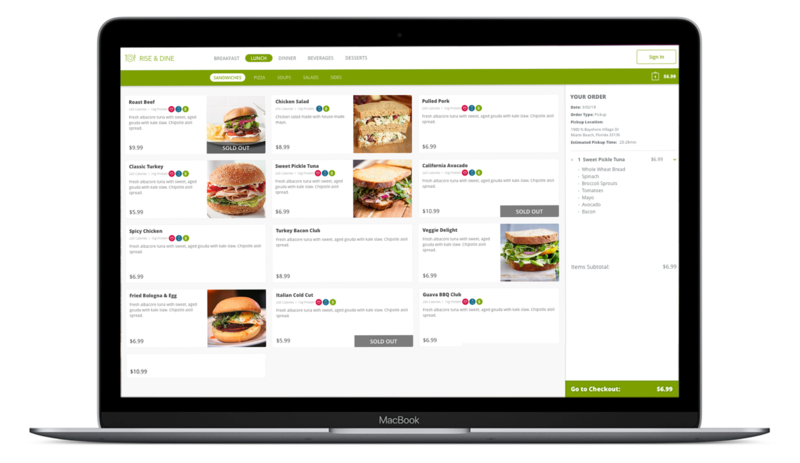 Lightspeed Restaurants has automatic and manual inventory tracking, the ability to add item variations, bulk-upload features, create custom low-stock notifications, and more. If you have multiple restaurants, inventory can be transferred between locations. Like the rest of the restaurant software programs on our list, Lightspeed Restaurant can store customer data and offers extra features like gift cards and loyalty programs. Lightspeed has a timed promotion feature similar to Lavu for automatic happy hour discounts. Lightspeed has a custom report building tool that is totally unique for POS systems within the small business price range. Just about every POS system will provide sales reports like daily totals and even hourly totals. 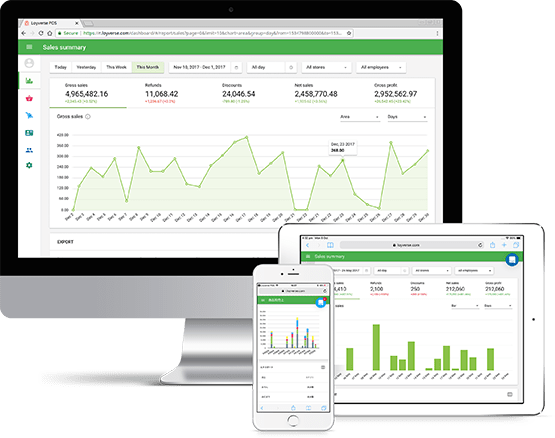 But, Lightspeed allows businesses to create custom reports with a variety of data points including time of day, day of the week, specific employees, ingredients, and more. These reports also provide actionable insights into product ordering and employee staffing. Reports can be saved for future use, downloaded, and exported. Plus, the reporting tool automatically creates visuals like graphs to go along with the data. Unlike Loyverse, which really doesn’t work with any other system, Lightspeed has tons of integrations and partnerships with solutions for accounting, customer service, employee scheduling, online ordering, table reservations, and more. Popular integrations include QuickBooks, Chowly, UEat, and Whisk. Lightspeed’s biggest drawback for pizzerias is that it’s designed for dine-in restaurants, so the online ordering and delivery solutions aren’t a perfect match for the needs of a takeout pizzeria. To get started with Lightspeed, visit the website to schedule a free demo with a Lightspeed team member. From there, you can try Lightspeed free for 14 days to test all the features for yourself. Visit Lightspeed to get started. 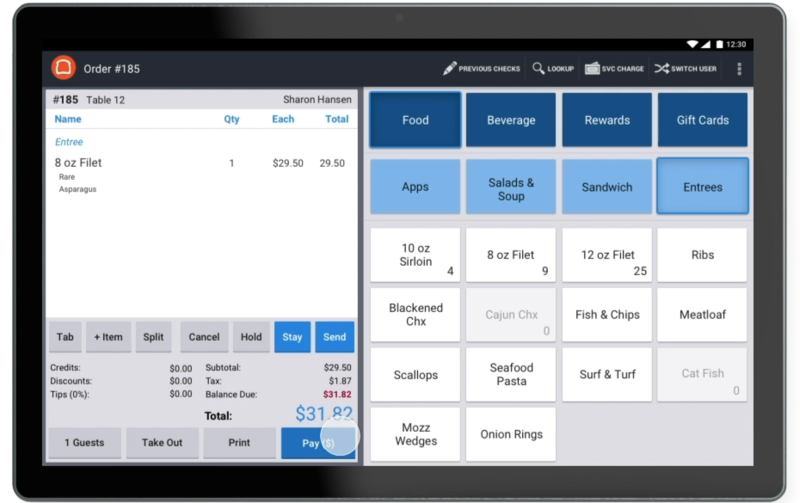 TouchBistro is an iPad POS system specifically designed for the restaurant industry. TouchBistro focuses on front-of-house management tools and includes over 200 built-in features, including easy-to-use reservation management. These advanced front-end features at a comparatively lower monthly fee make TouchBistro a great option for pizzerias that want reservation management at a low price. TouchBistro starts at $69 per month for one software license for one checkout, which is an average price for a small business POS. TouchBistro has four pricing tiers if you need additional checkouts or iPads. The features are the same for each tier—the only difference is the number of licenses included. TouchBistro is compatible with most iPad models, which can be purchased for under $400. Restaurants that want more than one point-of-sale will also need to invest in setting up a local network and server with Apple products. TouchBistro runs on a local network, unlike the other POS systems on our list that are cloud-based. If you have just one iPad, you can manage everything directly from that device. If you have two or more iPads, you need to run the Pro Server Application on a Mac Mini, which will serve as your central database that syncs all the iPads together. Aside from this logistical difference, TouchBistro has many standard pizzeria POS features like menu and inventory management. TouchBistro has menu management features to keep your digital menu up to date in your restaurant. However, TouchBistro is primarily designed for sit-down restaurants either offering fast casual service (TouchBistro has a kiosk and customer-facing display options) or traditional restaurants with tableside service. So, there are no features for online or delivery orders built-in. However, TouchBistro does have an integration with popular online ordering service Just Eat. TouchBistro does have ingredient-level inventory tracking, which is one of the most important features when it comes to precise inventory management. Similar to Toast, restaurants can also create recipes and run menu costing through this software. Lavu, Toast, and TouchBistro all have automated inventory tracking at the ingredient level. 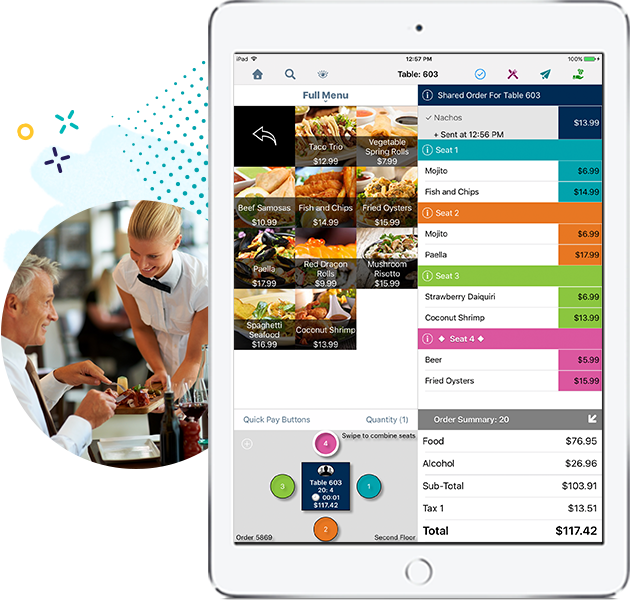 Similar to Square and Toast, TouchBistro lets restaurants create customer profiles and store information for future reference for free with the basic software. More advanced features like loyalty and gift cards, email and SMS marketing, and order-ahead options for VIP customers are available for an additional fee. Loyalty programs start at an extra $49 per month. TouchBistro offers over 50 different reports with customizable templates. Available reports include total sales, promotion sales, staff tips and shift activity, taxes and general accounting information, ingredient-level inventory tracking, and comprehensive end-of-day reports. TouchBistro has dozens of partner integrations, including accounting software, analytics, loyalty and CRM software, payment solutions, hardware options, employee scheduling, financing, and online ordering. 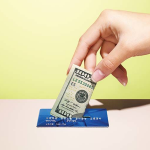 Popular integrations include QuickBooks, PayPal Payments, Chase, and Square Payments. The biggest holes in TouchBistro’s POS for pizzerias is the lack of online and delivery ordering options. For many casual pizzerias, these types of orders make up a big part of the business. TouchBistro has really great reviews, especially on the Apple App store. In general, users like that TouchBistro is easy to use and is cost effective. Some reviewers state that they wish there were more customization options. For more details, visit our TouchBistro review page. 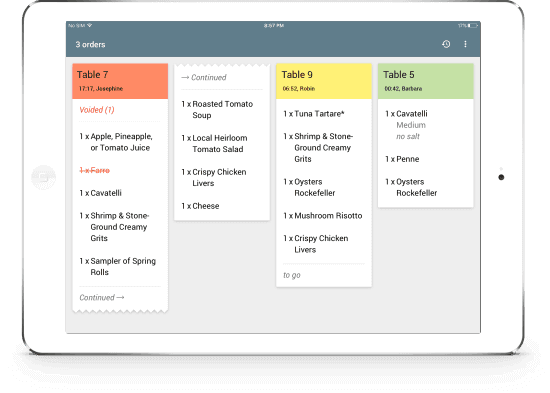 TouchBistro is a great option for sit-down pizzerias wanting reservation management. To get started, visit TouchBistro’s website to book a free live tour of the system. After your tour, request a free quote and sign up for a free trial. Visit TouchBistro to get started. A great pizzeria POS system can keep a hectic pizzeria running smoothly and efficiently by managing payments, menus, customer and order information, and ingredients and stock levels in one place. The best POS systems take things a step further and actually help tight-margin restaurants become more profitable by offering valuable insights and analytics at a low price. Toast is the best option for small business pizzerias, especially those wanting advanced front-end and back-end features at a competitive price. Toast packs time and money-saving features like ingredient tracking and menu costing into an easy-to-use, touch-screen system. Visit Toast to get started.